When I first read the title of Lemons and Lavender: The Eco Guide to Better Homekeeping, I assumed it was a book about DIY green cleaning. The products most people use to clean their homes is very, very toxic, and lemons and lavender are a great alternative. This book is much, much, more! From composting to nearly free holidays, this book truly is a guide to greener living. 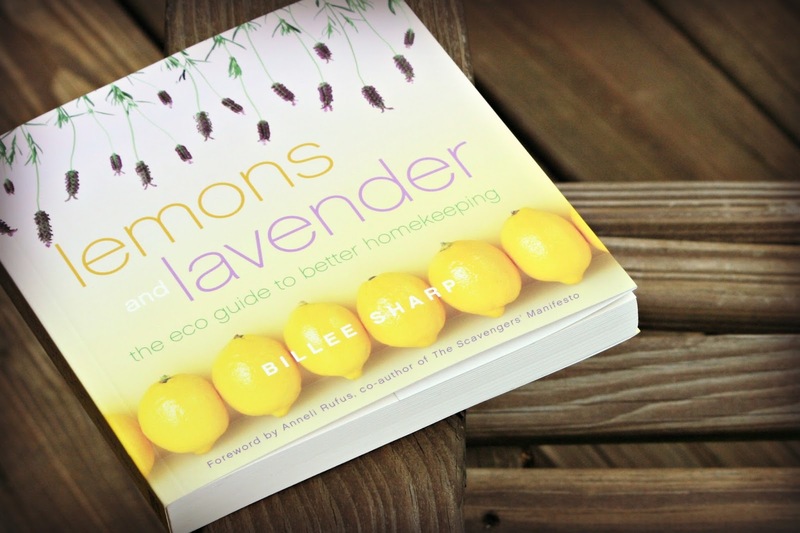 Billee Sharp shows you how in Lemons and Lavender: The Eco Guide to Better Homekeeping. This book is very comprehensive! There is something for everyone to learn and be inspired by reading. For example, I need to learn to consume less. I am pretty green about my consumption, but I am still stuck in capitalist consumerism and fall into the want vs. need conundrum. I love how this book covers the gamut. There’s a recipe for natural dye, as well as eco-paint stripper. I can’t wait to try both!